We supply custom architectural millwork, (Doors, Windows, Shutters, Mouldings, Turnings and some select stock building products.) We specialize in historically accurate millwork. We create energy efficient modern millwork that respects historic building principles and is unique to each home owner. 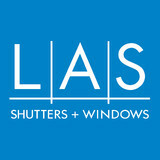 We pride ourselves on making custom profiles and unique doors and windows to compliment homes and businesses. We encourage our clients to shop us, and compare our products to others. We know that we supply a superior product at a fair market price. 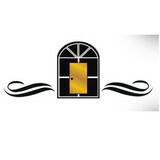 Prestige Entries combines the best materials and workmanship to produce quality Mahogany Exterior Door, Alder Interior Doors, and Alder Exterior Doors that will remain beautiful and functional for many years. Skilled workmanship coupled with advanced technology and engineering, place Prestige Entries as the first pick for custom designers and quality builders. Prestige Entries certifies that the forest base and materials used in the manufacturing of our door products come from a legal and certified forest under the national standards of the country of origin. The chain of custody from forest through manufacturing is maintained as dictated by the policy of the country or origin. What kind of services do Lacombe door dealers provide? Door dealers are responsible for a variety of services, including door installation, replacement, door repair and custom door design. If you need a new door, Lacombe, LA door dealers will help you determine what kind you need, as well as shape, color, size and more. From barn doors to French doors to front doors, these professionals can help you choose, install and maintain your door investments. Wood doors are beautiful, versatile and tend to be the most popular choice for both interior and exterior doors; they are easy to custom build, and include oak, cherry, walnut, mahogany, maple, fir and pine. Some standard wood doors have MDF cores wrapped in wood veneers, which minimizes the chances of warping as real wood expands when wet and contracts when dry. If your heart is set on a wood door but you think the Lacombe, LA climate might cause it to warp, talk to your door professional about a furniture-grade veneered door. Aluminum doors have an insulated core and come in a variety of colors and finishes. With a baked-on enamel finish, they won’t rust or need repainting, and many come with a 20-year warranty. Next to wood they are the most expensive and have to be custom-made. A Lacombe, LA door dealer can help you find a reputable aluminum door manufacturer. Find door dealers and installers in Lacombe, LA on Houzz. Look in the Professionals section of our website and search for Lacombe, LA door dealers and installers. Read reviews, look at project photos and see how a pro can help with your home improvement project.